St. John Bay. 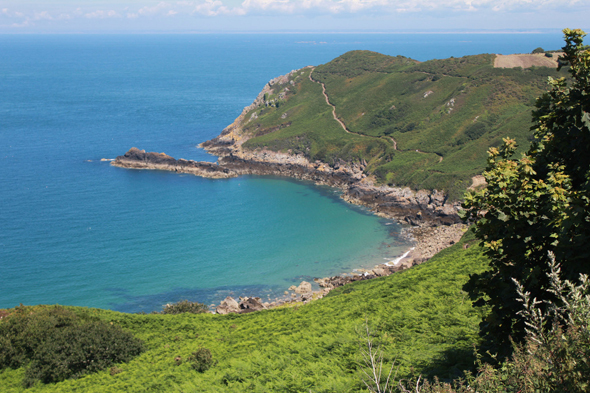 Thanks to the Gulf Stream, the island of Jersey, on the Norman coast, benefits from a particularly pleasant climate. Its spectacular tides shape magnificent landscapes there declining from the country green to the blue ocean.